If you opt for Facebook ads, you probably need to test the image, CTA button, value proposition headline, text and the audience type for each ad. Since there are nearly inexhaustible number of options available to opt for, it usually takes some trial and error prior to getting an ad copy that gets a high CTR with a low CTR. Even once you are fully capable to convert your potential customers to your products or services, you are still not free. You need to test so many things on your product landing page before you can get a satisfactory conversion rate. But did you know there are just 22% companies who are satisfied with their conversions? If truth be told, 85% of marketers have now started focusing on conversion rate optimization and if you are not carefully split test your product landing pages, then you are missing out on a huge opportunity. Since there is no one-size-fits-all strategy to split testing, but what works for one ecommerce brand may have disastrous effects on another. Keeping that in mind, in this blog, I have listed down some product page split tests that you can conduct to improve your eCommerce conversion rate. The way you display your product pricing information matters most to your customers. You can test the effects of tiered pricing and straight pricing in a split test. With straight pricing, you can simply show the actual price of the product, however, in tiered pricing, you offer your potential customers different pricing options. Make sure the pricing information you displayed is prominent on your product page. An eCommerce brand Royal Discount offers computer software from well-known manufacturers, thought that pricing information has no value and won't affect your conversion rate. They added a cross sign next to the manufacturer’s price, which increased conversion slightly. Then, they performed a split test for a month where sales prices were presented in a larger font. The new landing page got improved conversion rate and increased the sales by 10.21%. Everyone knows the real importance of social proof such as customer reviews, screenshots of Facebook comments and testimonials on a product page. If you have just clicked an unknown brand’s website through a Facebook ad, it’s unlikely you’ll make a purchase from the company unless you read what customer are talking about the brand. A study conducted by Nielsen, 92% of people will trust a recommendation from a person they know and 70% of people will trust an endorsement from a person who that they don’t know when it comes to factors that contribute to earning trust. Posting customer reviews, celebrity endorsements and testimonials on your product page will definitely help you build the trust of your prospective clients and increase conversions. Carefully check whether customer reviews and testimonials improve your conversions. Test the position of reviews displayed on the product page as well. Star rating is another great trick to build trust, but make sure you use the different range as the excessive of 5-star reviews with zero sign of negativity is acceptable. Because no company is flawless and customers give their positive and negative reviews both. Vegan Horizon and Sales Pop improved their conversion rate, build trust authenticity and trust by using social proofs. Believe it or not, visual content works best when it comes to engaging your audience in this digital age. A video is a perfect choice to gain the interest of the audience and convey your brand message in a very short amount of time. An eCommerce brand, Paintball Online, use videos on approximately 5,000 product pages and they observed amazing results. The pages that included videos were got more views compared to those pages without videos. There are many digital marketing agencies who can create explainer videos for brands to showcase their products. So, place a video on your product page and check whether it improves your eCommerce conversions. Another way to boost your eCommerce conversions is to offer free shipping. Shipping charges at the checkout are the major cause of abandoned carts that you can avoid by offering free shipping. Customers will be more inclined to make a purchase if they think they will get free shipping, even if they are actually paying you exactly the same amount of money. It really doesn’t matter to you whether you got $50 for a product and $10 for shipping, compared to a $60 for a product and nothing for shipping. 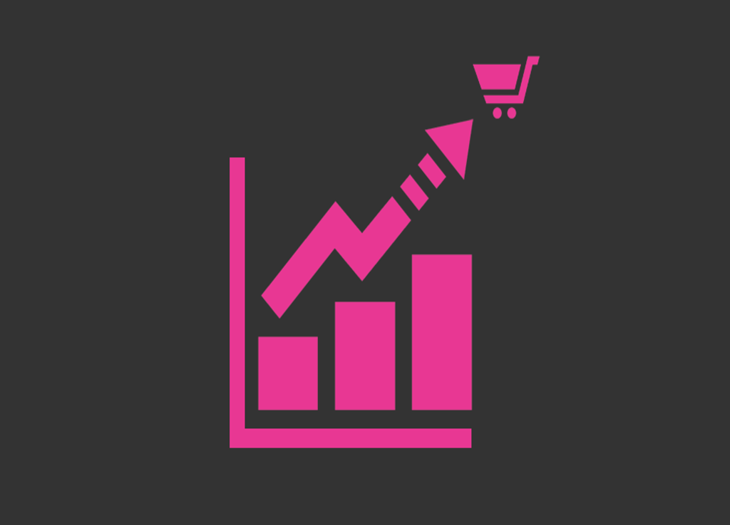 What matters most here is boosting the number of conversions on your product page. So, it is advised to experiment with different shipping options. Let’s take an example of NuFace here: The brand experiment with offering a Free Shipping offer over $75 and placed a banner on its eCommerce website. They observed a straight 90% increase in purchases and a 7.32% boost in average order value. That means free shipping allured people to buy more products from your ecommerce store. Believe it or not, the add-to-cart button should be the important element of your landing page. If shoppers are not noticing it, then what’s the point of adding it. It will have a positive or negative impact on your conversion rate. There are different color guides available that define that there is no definitive color choice for add-to-cart buttons. However, a majority of experts think that you should stick to a color choice that can contrast with your website in order to stand out. But still, there is no proof available that this works best. A study of leading eCommerce brands suggests that 32% businesses used orange add-to-cart buttons while 24% used blue color. But there are no conclusive results about what worked best as every brand is different. However, it is worth your time to A/B test different colors for your brand. An eCommerce split test conducted by Receptional suggests that a click rate increase of 344% was observed by simply changing the color of add-to-cart button. Becoming a victim of an online scam is the biggest concern for today’s consumers. Customers want to feel secure and safe when they enter their card details before checkout. Security concerns are another major factor of cart abandonment. The best way to avoid is to develop a great sense of security by incorporating a trust badge on your product detail page or checkout page. By featuring the security badge on a request a quote page can help alleviate consumer anxiety about purchasing a misrepresented product. A study suggests that around 28% of online shoppers abandon their purchase decision when they don’t find their preferred payment option. Since a majority of shoppers use their credit cards and 28% use PayPal method, there is a great opportunity for eCommerce businesses to use both options. If you are using a Shopify platform, then it is advised to allow PayPal checkouts on your eCommerce store. The process is extremely easy and can significantly improve your conversion rate. You can also allow a visitor to check out through PayPal without even bothering them to register to PayPal account. If you are receiving a good amount of traffic to the product page, but your conversion rate is not up to the mark, try incorporating live chat option on your eCommerce website. A study says that users invited to live chat are 63X more likely to become convert than those who use this option. A live chat option helps to reduce the fear and earn trust. It gives you an option to answer the specific concerns of your customers and add a human touch to your brand, which will dramatically boost the conversion rate. Moreover, live chat can also decrease your shopping cart abandon rate by inviting these shoppers to talk to the real person and get their response as to why they have canceled a purchase. This way, you can make necessary adjustments to get them convert. If enabling the live chat option doesn’t help you increase your conversions, don’t pursue it. Go for another option. If users are asking the same questions again and again, it is advised to answer them promptly. You can answer all the potential shipping, delivery and product-related queries in your FAQs section. The more accurate information you can deliver, the more people will feel secure about making a buying decision. Though Creating a FAQs page is a daunting task, it’s definitely worth the effort. You’d be surprised to see how many time users spend checking your FAQs. A non-profit organization Kiva significantly improved its conversion rate by 11.5% by featuring FAQs on their website. It is important to encourage your customers to purchase your product otherwise, they won’t bother to return to your page later. You can run Facebook retargeting campaigns to re-engage your former visitors to return to your website. Or you can create a sense of urgency by using urgent language to convey the scarcity of the product and convert your visitors. You can use a countdown timer on your product pages and test the results. Since there are a number of other options available, I have discussed here a few valuable and proven product split tests that can increase your eCommerce conversions. Give them a try and see the results. Irfan Ak is a digital marketing expert, eCommerce web developer and blogger by profession. Currently, he's associated with Branex. He has served many brands with his digital & development expertise.